I could go on and on about how delicious this recipe is, but I won't. I'll just let you try it out for yourself. It's incredibly healthy, packed with protein and uses ingredients that you most likely already have in your kitchen. 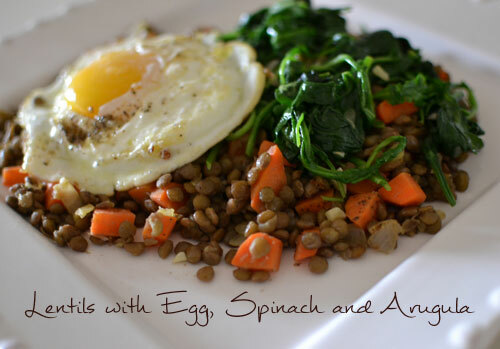 If you love lentils as much as I do, then this recipe is a must! Heat first pan over medium-high, then coat with olive oil. Add onion and carrots and cook until softened. 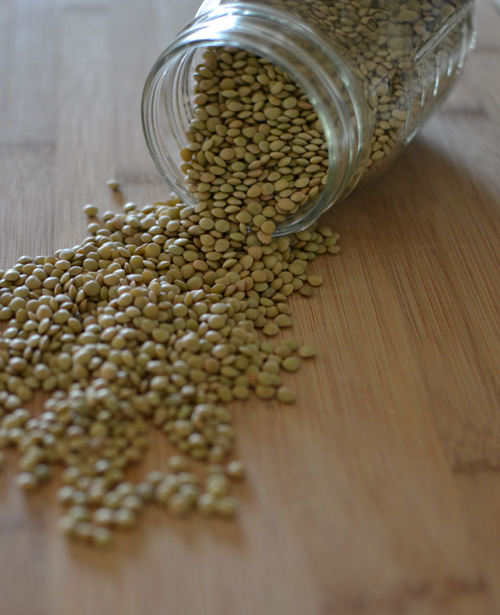 Add lentils and season with salt and pepper. Heat through. In the second pan, saute the garlic. Add greens and stir to wilt (about 30-45 seconds). In the third pan, fry eggs with olive oil. 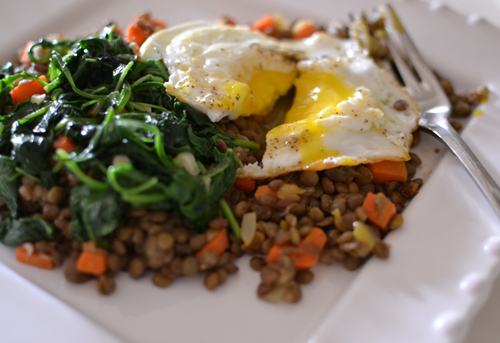 Serve eggs over greens and lentils. This looks so good, Audrey! 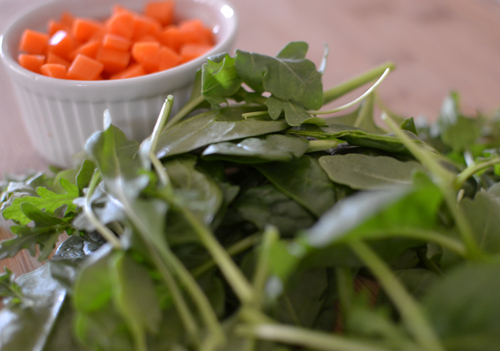 I have been eating a ton of arugula lately but it never occurred to me to cool it like I typically do with spinach. This was really good! I added chopped turkey bacon to the lentils too. My husband even liked it!